This category includes educational materials on statistics in both the undergraduate and the graduate levels. How do you determine the sample size required for your specific study? This is an important question considering that the answer determines how much effort you should devote to your research as well as how much money you have to allocate for it. This article explains how sample size should be estimated to obtain the optimal sample size. As you would not want to sacrifice accuracy for convenience, and to make your research worthwhile, having the correct sample size makes your research more credible. If you sample too little, your results may not be reliable. If you sample too large a size, you will also be spending too much. Sampling is especially true to quantitative studies, as it tries to define or describe a population by studying a part of it. But how many should be enough? Here are important considerations when estimating the correct sample size. Statisticians agree that you have to be familiar with at least four things before you draw a sample from your population. These are enumerated and described below. As a researcher, you should be familiar with your target population’s size. It is therefore necessary that you define your population so that you can approximate or find ways to estimate the total population and get the optimal size possible. Let’s say you would want to find out the tourists’ average willingness to pay to access or see a natural park in view of estimating the value of the natural park’s aesthetic value. This means that your population should be the number of tourists who visit the park in one year if you are discussing an annual turnout of visitors. You can get this number from the tourism office especially if park access is for a fee. Since you cannot interview all of the tourists, a sample may be drawn at a certain point in time which you will determine yourself, bearing in mind the peak and the off seasons to avoid bias. Familiarity with your population, therefore, is a must. Margin of error refers to the range of values that is acceptable to you as you estimate of the population’s mean or average value. What is the percentage of error that you will allow to give you the level of confidence you need? Whatever value you get in estimating say, the mean of your population is not an absolute number. You should allow for little deviations that are statistically acceptable and serve your purpose. An analogy to illustrate the margin of error is like a hunter trying to hit a deer with his arrow. He aims for the heart but in the process hits the areas within 3 inches of the heart, either below, above, at the left or at the right. That is okay, because what he really wants is to be able to bring the deer home for his meal. Hitting the parts surrounding the heart serves the purpose of going home with the booty. Hitting the lungs or the other internal parts next to the heart can immobilize it. Confidence level is a little bit confused with margin of error. 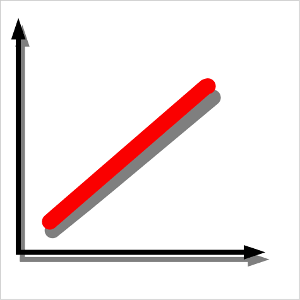 This is your level of certainty that your estimated mean (the statistic) will fall within the confidence interval that you have set for the estimate. Again, back to the analogy of hitting the deer with an arrow. The question is “How confident is the archer in hitting the areas surrounding the heart?” If he is really a very good archer, he might say that out of 100 arrows, he is certain that 95 of this would hit the area within 3 inches of the heart. That’s his confidence level or percentage of certainty. In statistics, the convention is to have a confidence level of either 95% or 99%. The former is a commonly used standard. Assuming that your population has a normal distribution, the confidence level corresponds to a value of the z-distribution. A z-distribution is a standard normal distribution, meaning, the population approximates a bell-shaped curve. The standard deviation is how spread out the numbers are from the mean. To make this concept clear, let’s go back to the hunter example. Let’s say the hunter shot a target with a bullseye 500 times. As he is a very good archer, most of the arrows would have landed near or at the center but for sure, not always at the center. Those arrows that missed the bullseye are similar to the deviations from the mean. 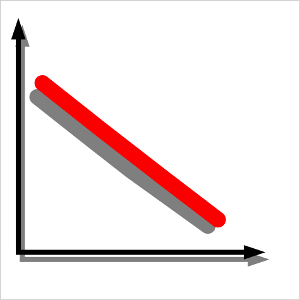 The way the arrows spread from the center indicates deviations from the average. So how far will the arrows released by the hunter deviate from the center? We don’t know unless we measure the distance of each of the arrows from the center. But we don’t have time to measure all of the 500 arrows he released so we might as well take a sample, say 20 arrows. Those 20 arrows might show that the deviation from the bullseye is within 4 inches. So this value can be used to predict the deviation of the 500 arrows consequently released. Getting the population standard deviation from 20 samples is analogous to a pilot study of the population. A portion of the population may be studied to estimate the population standard deviation. If it is not possible to do so, it is common practice that a standard deviation of 0.5 is used in estimating sample size. Fig. 1 Population standard deviation. Fig. 2. Formula to estimate sample size. Therefore, if your research requires interviewing people, the estimated number of interviewees is 542. This article provides a guide for selection of the appropriate statistical test for different types of data. Examples are given to demonstrate how the guide works. This is an ideal read for a beginning researcher. One of the difficulties encountered by many of my students in the advanced statistics course is how to choose the appropriate statistical test for their specific problem statement. In fact, I had this difficulty too when I started analyzing data for graduate students more than 15 years ago. The computation part is easy as there are a lot of statistical software applications available, as stand-alone applications, or part of the common spreadsheet applications such as Microsoft Excel. If you really want to save money and is a Linux user, Gnumeric is an open source statistical application software that performs as well as MS Excel. I discovered this free application when I decided to use Ubuntu Linux as my primary operating system. The main reason for the switch was my exasperation with having to spend much time, as well as money for antivirus subscriptions, in an effort to remove persistent windows viruses. Back to the issue of identifying the appropriate statistical test, I would say that experience counts a lot. But this is not the only basis for judging which statistical test is best for a particular research question, i.e., those that require statistical analysis. A guide on the appropriate statistical test for certain types of variables can steer you towards the right direction. Table 1 below shows what statistical test should be applied whenever you analyze variables measurable by a certain type of measurement scale. You should be familiar with the different types of data in order to use this guide. If not, you need to read the 4 Statistical Scales of Measurement first before you can effectively use the table. Refer to Table 1 as you go through the following examples on statistical analysis of different types of data. Null Hypothesis: There is no association between gender and softdrink preference. Type of Data: Gender and sofdrink brand are both nominal variables. Null Hypothesis: There is no correlation between Mathematics score and number of hours spent in studying the Mathematics subject. Null Hypothesis: There is no difference between the Mathematics scores of Sections A and B. 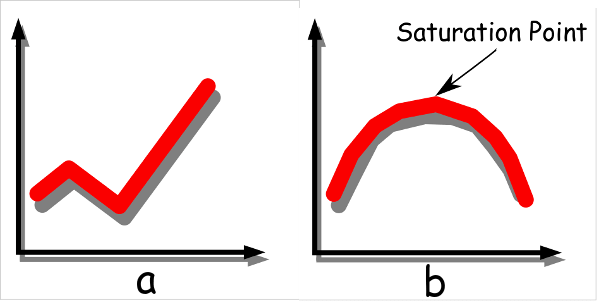 Type of Data: Math scores of both Sections A and B are ratio variables. Once you have chosen a specific statistical test to analyze your data with your hypothesis as a guide, make sure that you encode your data properly and accurately (see The Importance of Data Accuracy and Integrity for Data Analysis). Remember that encoding a single wrong entry in the spreadsheet can make a significant difference in the computer output. Garbage in, garbage out. Robson, C. (1973). Experiment, design and statistics in Psychology, 3rd ed. New York: Penguin Books. 174 pp.